(2003/BMG NL) contains: Single CD, Jewelcase, Digipack, Maxi Vinyl (Promo Version). Limited Edition of 3000 copies. Dutch only limited edition promotional set, collecting together the 3-track promotional vinyl 12" in its own custom stickered sleeve, together with the commercial release 3-track CD single in Digipack picture sleeve, the commercial release 2-track CD single in card wallet picture sleeve & the commercial release 3-track CD single in slimline jewel case picture sleeve, with the whole package nicely held in a unique 12" gatefold picture sleeve! 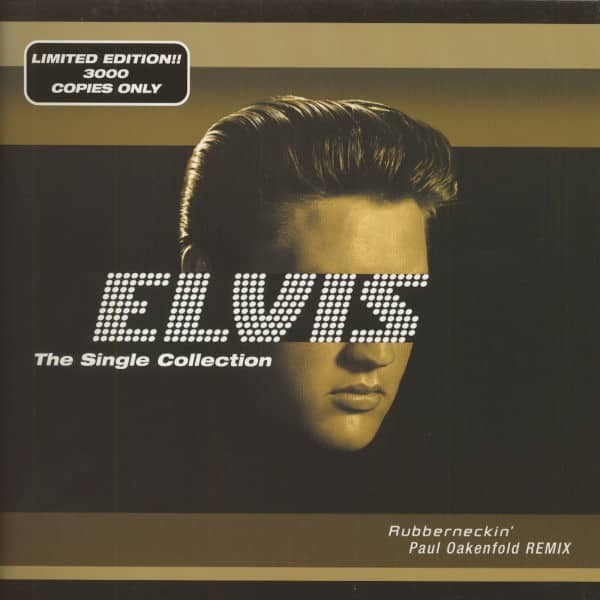 Kundenbewertungen für "Rubberneckin' - The Single Collection (3-CD+Vinyl 12inch Maxi Single)"